It is very likely that when you apply and are offered employment in Michigan, that you may be required to sign a non-compete agreement. In the traditional sense, when someone thinks about a non-compete agreement the first thought is that it makes sense for a sales or marketing position. However, employers are now requiring employees for almost all positions of employment to sign such agreements. Non-compete agreements can be very simple or very complex. Regardless, an employee should consult an attorney before signing a non-compete. 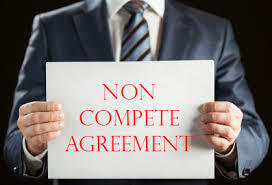 It is much easier to modify or negotiate the non-compete before signing versus trying to do so when the employee leaves the employment or a possible breach resulting in being sued by the employer. Here are some things that an employee needs to be aware of before signing. Find out all entities that are related with the employer that is asking you to sign the non-compete and how they can affect future employment opportunities. Non-Disclosure of Confidential Information. What is employer owned confidential information? If you are not sure, you will want to consult with an attorney. Any information that an employee gained knowledge of during that particular employment that the employee would not have known in the general sense, is considered employer protected or proprietary information This includes any works that employee may have developed for that employer. Covenant not to compete. This is where most employees can run into trouble. Many non-competes as they stand drafted make it virtually impossible for the employee to be able to obtain gainful employment with their job description in a particular industry anywhere. An employee needs to fully understand that the non-compete may be modifiable before signing and should try to do so before signing. An attorney can tell you what is reasonable or not in Michigan but two years has not been held to be unreasonable in many industries after separation or termination from employment. This section also usually incorporates a section that states the employee after leaving cannot “solicit” or take other employees away from that employer to work somewhere else. It is always best to ask if this provision is not clear in the non-compete. Return of Information. If the employee has confidential business information, then that employee should return all of it immediately at the end of employment. Courts have upheld that proprietary information must be returned. An employee can ask its potential employer what is considered confidential business information if it is not defined in the non-compete or how it would need to be returned. Equitable Relief. Many employers have a provision in which if the employer has a belief that the employee breached the non-compete that it has a right to injunctive relief and for its attorney fees and costs for bringing litigation against the employee for a possible breach. An employee should work to make this clause mutual if possible and for only a prevailing party to obtain its fees and costs. Governing Law. Many employees work in Michigan but the actual employer may be in another state. The employee needs to find out if there is litigation regarding the non-compete, where will the lawsuit be filed, in Michigan or another state. What states laws will be applied to the non-compete. Litigation can be very costly and if another state’s law applies, the employee possibly will have to find an attorney in the state the law applies. This is not a complete list of things to look for when signing an employment non-compete but touches on some of the major ones. Finally, as with any contract, only what is in the actual “four corners” of the document will be upheld. Any emails or other outside modifications will not apply before or after the agreement is signed unless it is incorporated into the agreement itself.